This is my 1st Scenario Expansion, I used my Experience(10years+) and applied the best available Effects and Tricks to make CBA more Interesting more Entertaining more Balanced and more Strategic. CBA in its Original form is very simple to Understand and that is the reason of it popularity, Keeping that in mind I tried my best to make sure that CBA remains Simple to play yet very challenging for people who are more skilled than others. CBA Monks is a map which is an Expansion of the Current CBA(v16). So basically it's the Same, Destroy Enemy Castles and Win. But some new POWERS have been added which when combined with Good Military Attack, would yield better game Results and more exciting matches between the two or more Opponents. CBA was ruled by Military Units, Civilizations have relied mostly on their Elite Units to Win Battles for them. Monks had a very limited Role in the Battlefield even though they had the ability to do stuff which no other unit could do, i.e. Heal injured Units, Convert Enemy Units, Convert Enemy Buildings etc. After this treatment by CBA players, Monks Decided to make an alliance, but that Alliance was short timed and because of the difference in Opinions of many Monks of Different Civilizations. The Alliance of Monks then broke into 5 Major Groups of Civilizations. These 5 Groups of Civilizations used their Monks to Generate some special Weapon/Force which can give them advantage over other Civilizations in the Battlefield of CBA. Each Group of Monks came up different Idea to help conquer other civilizations. These 5 Groups of Civilizations Called themselves ARABS, AMERICANS, ASIANS, EUROPE I and EUROPE II. Arabs found themselves different from other civilization, in terms of Technology and Belief. Their Monks could not come up some unique power, so they gathered up and used their large number to help win their respective Civilization. 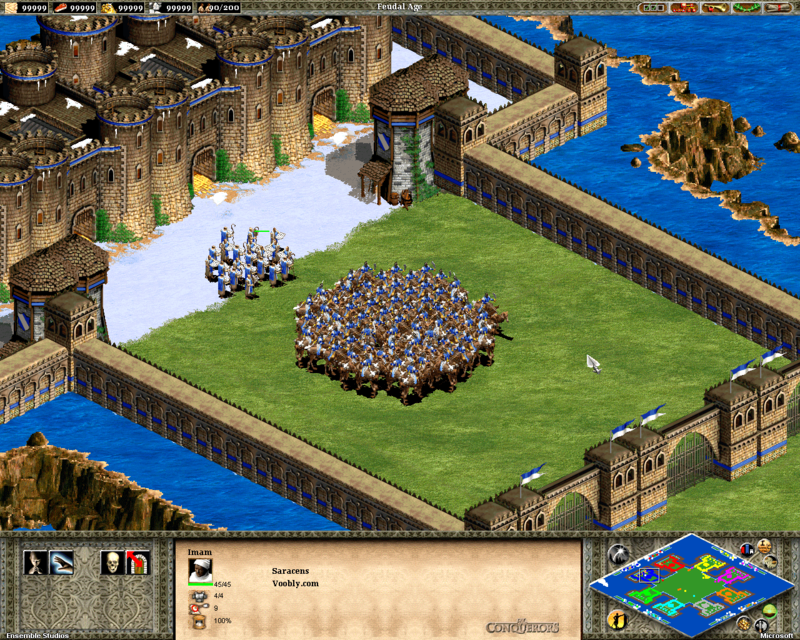 Arabs get 20 Free Imams at the beginning of the game, which can be used along with Unique Castle Units to Heal and Convert Enemy units Real time. 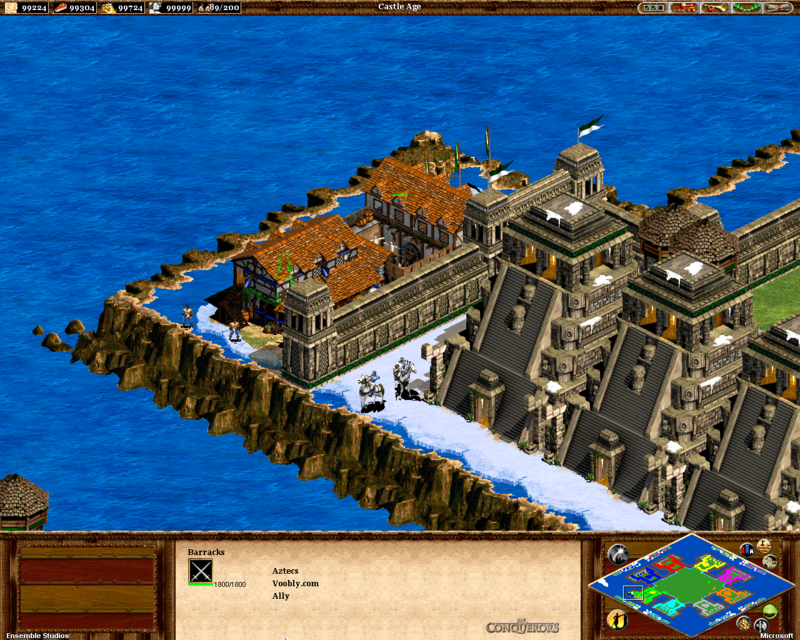 Arab Imams give their Civilizations edge over other Civilization in the beginning of the game. American Civilization were considered the weakest when it comes to Imperial Age and were Vulnerable against other civilizations with Cavalry. Americans with their Super Monks have developed a Special Ability to Convert Enemy Units at a Mass Level. They can use their monks to Convert whole Enemy Base Units remotely and can use them against their own People. This is a Very Rare and Powerful Ability, so Mayans and Aztecs can Only use this Power Twice in the whole game and can use it against any civilization and any player they want. The 1st Monk to Convert Enemy base arrives after 6 mins of game time has passed for each American Civilization. It arrives at the back of the base and can be used by moving monk towards Enemy Flag(over the Rug). The 2nd Monk comes after 500 Enemy kills and 12 mins of game time has elapsed. Asian Civilization come with Unique self Healing Technique. The have a blessing of their monks in the battlefield so when they get injured their HP repairs itself without the help of any monk near-by. This healing rate is different in each Asian Civilization and varies with Age of that Civilization as well. 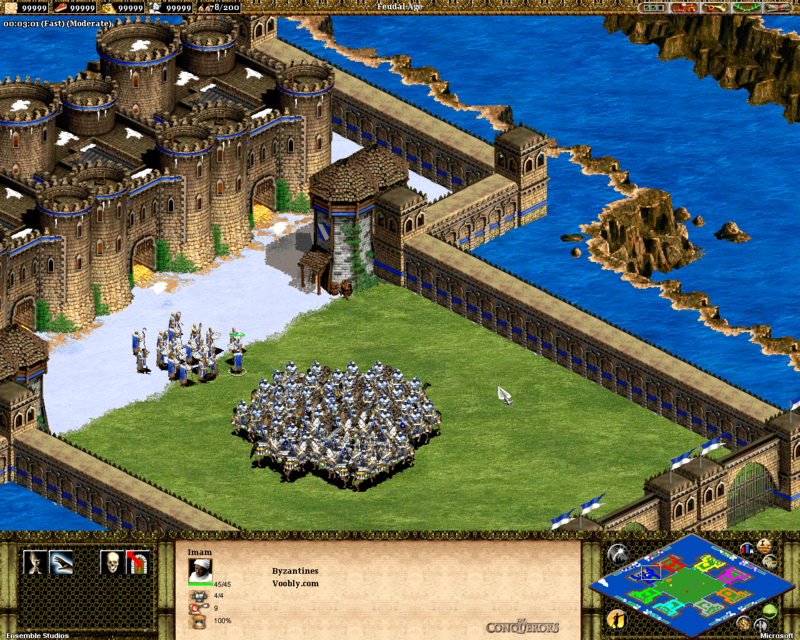 They get the power up in the whole map but is limited to Unique castle units only and does not apply to other military or civilian units of that Civilization. Europe I with their POPE LEO have developed a Unique Power to counter the major Weapons and attacks of other Civilizations. They were mostly ranged Armies, so were weaker against most of the ARAB Civilizations and ASIAN Civilizations. They also got rushed by other EUROPEAN Civilizations and had a very weak Defense. POPE LEO comes with special power to Convert All Enemy Units in their base, when being heavily attacked or rushed by Enemy forces. It includes all Military units of all Enemy Civilizations. They can then be used to defend themselves and counter the Attack of Enemy. Europe I get POPE LEO I after 6 mins, it arrives near villager Spawn point and is Invincible. It cannot be Killed by Enemy Units, it can only Be Deleted/Killed by the player himself. To Convert all Enemy units the player must DELETE/KILL The Pope to Save themselves from enemy. POPE LEO II arrives after the player has killed 500 Enemy units. Europe II monks knew the specialty of their civilizations, which is to Attack and Rush enemies. They gave them the power to see Whole map after 100 Enemy Kills. So Europe II civilizations can now attack more accurately and choose their target with more precision. They still remain vulnerable to bigger attacks by other Civilization, especially by Americans, which can convert their own units and use them against their own Developments. Also the Europe I civilizations can counter their attacks by converting their units in their own base. But they can make sure they get the 1st mover advantage of Finishing the enemy before they get to use their powers. A much needed function for CBA players, who had to LOCK/UNLOCK Each gate individually and there was no Keyboard shortcut for that too(not in my knowledge). A Gate Keeper has been deployed near each player's front Gates, which they can move to LOCK/UNLOCK all three gates at the same time. 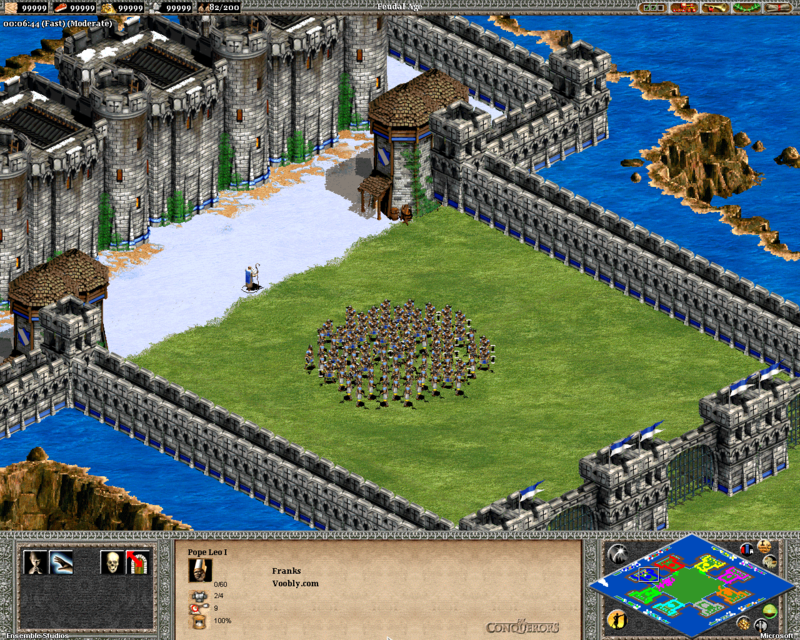 A very handy function when Enemy units are close to gates and there is a danger that they may sneak into the base when the gates are opened by mistake. A shortcut has been added very close to base to Control the length of the Spawn of Units. This is helpful for some Players who had to go behind the Castles to change the Spawn every time they changed their Strategy. A special unit has been created which upon Moving Forward or Backward alters the length of the Spawn of Castle Units. There were some instances when Hosts did not CHECK the LOCK TEAMS Option at the beginning of the game and changed Diplomacy during the game. This was a serious issue as some players may unite to Kill a Player who is new or did not notice such Trick. In this Version of CBA Monks, its has been insured that No player can Change Diplomacy after the game has begun, even after the Host has Unchecked the Lock TEAMS option, the game will make sure the Diplomacy cannot be modified or altered by players during the game play. A special method has been developed by me which Forces all the players to Stay Ally, if they are either Randomly Allied or Chose the Same Teams before the game began. There are sometimes in longer CBA games that one or more of your ally Fails to get a Villager or has lost all of his Villagers even after he has reached the Imperial Age. His contribution to the Team game minimizes and the whole team suffers as he becomes a handicap. To solve this issue a New method has been Deployed by me which is called "The Ally Development Support". If your Ally has Killed more than 25% of its Imperial Age Kills and still has no Villagers or has lost his Villagers, then Every Building you create in your Ally base will be Converted to your Ally building, which he can use to create units of its Choice and thus contribute more to his team Win. For Example, Mayan get Imperial Age at 500 Kills, if they have killed more than 25% of 500 Kills (approx 625 Kills) and still have not Razed, then you can Create any building(except Stables, as Mayans and Aztecs don't have Stables) in their base with your Villager, that Building will instantly be Converted to your Ally Building, which can then be controlled by your ally to make units. This is an important function as many people help their allies by walling them in front and inside the base to save him from their Common Enemy. But this is sometimes exploited or misused by some Allies. 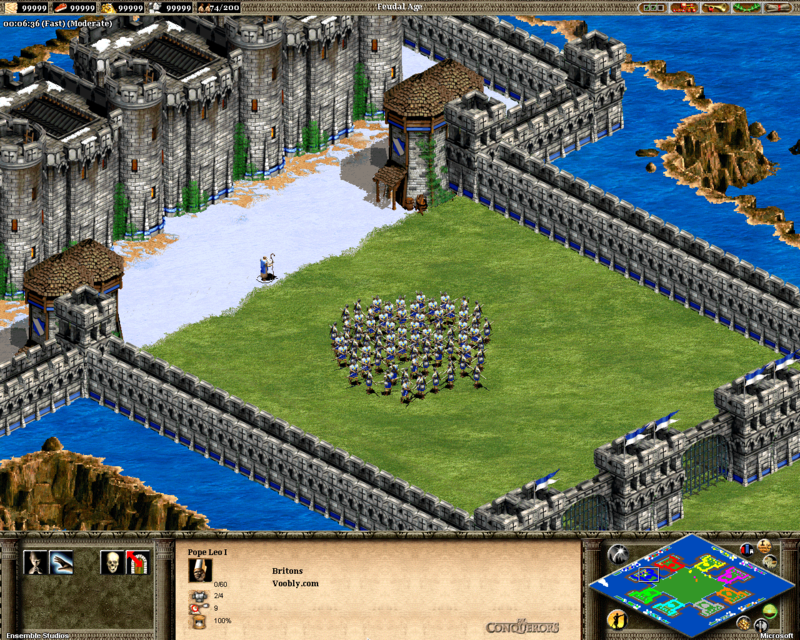 They Block the Spawn of Allies by walling in front or sometimes forget to open the way through the wall. From now on any wall(Palisade or Stone) which is created in ally's Base will be converted to Ally wall, which he can delete whenever and where ever he wants to. Also the Palisade walls created by your villager in your ally base in front of Gates and along with Accursed Towers will be Transformed to Stone Walls. It is helpful for Goths who could not wall their Allies. This function is supported for all players and civilizations and does not need special conditions. This is already blocked in the Current CBA(v16) but players still exploit it and wall the Enemy. This Function is now more Powerful and now covers a bigger area of the map which now cannot be used to Wall your Enemy. This is considered as a Cowardly act by some players and affects the balance of the game. If you want to Block an Enemy block by Force not by Wall! There are not many Graphical changes you will see in this map, Majority of work is done to Improve the game play and enhance the Game Experience. I have planned many more NEW Features for the Next Version of CBA Monks, which I will Disclose soon. + Aztecs now get Squires Research, they are more Fast now. + Saracens Imperial Age Kills have now been increased from 650 Kills to 750 Kills. + 2 New Palisade Wall to Stone Wall areas have been added. + Palisade Wall created in front of gates will now be converted to Stone walls. + Architecture Research has now been Re-Enabled. + Now Every player gets a Notification if someone reaches Castle Age or Imperial Age. + Goths can Stone Wall outside Gates. This map wouldn't be possible without the help of [You must login to view link] Community, ['RB']blurrryface, JustTesting1234 and my Friends who helped me Test the map. What's New (build73) - Fixed the Spawn issue in Player 2 - Gatekeeper could be converted by Monks, has now been replaced with Non-Convertible Gatekeeper (reported by [KD]myhT_1) - New Spawn Length Controller has been added for each player. (See above) - Player 3 was default Ally of Player 1, has now been Fixed. - Game Start View for each players has now been fixed to their own base. The Triggers included in the Uploaded Map are all Visible for Everyone, This is meant to be educational, there are many things I learned from other People by just watching their Triggers and Effects and I am thankful to all of them for not hiding. Do not remove the Credits as they, including myself have worked hard to make such a game work. If you compare them to the Powers which other Civilization have in this Scenario, they are a bit Less. Since Arab Civs are already very powerful in this game, I didn't need any more Empowerment. 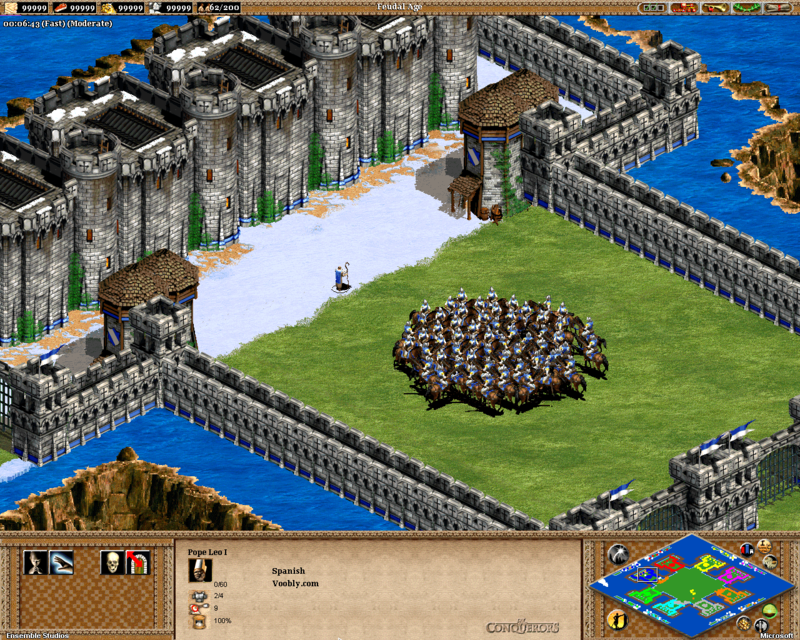 20 Imams will be like any other Elite Unit (spawning from castle), they will stop coming once you start Creating other Army Units. 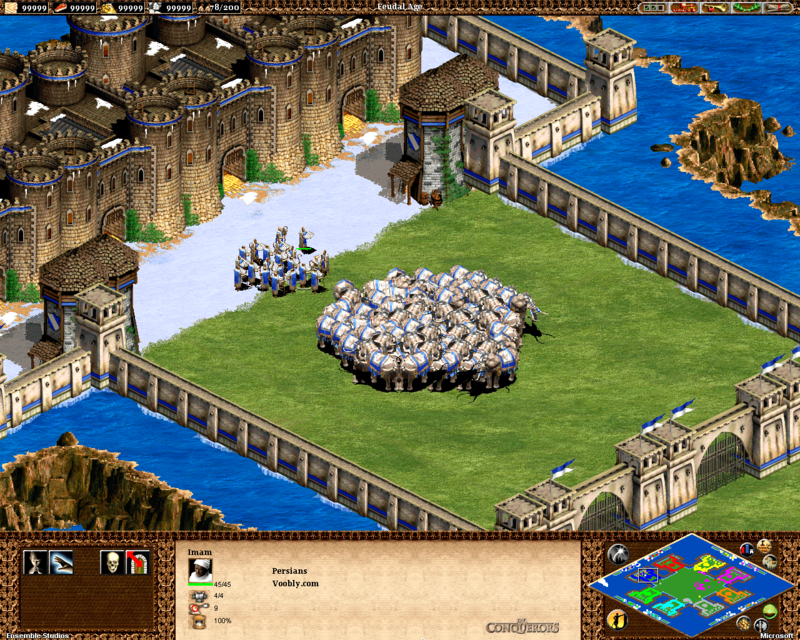 You can Stop/Start their Spawn similar to how you do with your Unique Castle Units. Playing with Imams/Monks is not Easy. But once you you know how to use them in Tactical way, these 20 Imams will prove their effectiveness in tough situations.